New Jersey’s drug laws are among the toughest in the country. In response to growing public concern about public safety and morals, NJ law enforcement officials actively pursue drug crime offenders. 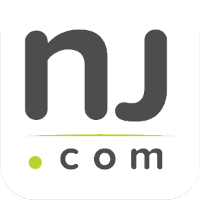 Moreover, NJ prosecutors will not hesitate to seek maximum punishments for drug crime convictions, whether the offense involves high-end cocaine manufacturing or the purchase of a small amount of marijuana for personal use. If you or a loved one has been arrested for drug charges in Essex County, it is imperative that you retain the services of an experienced criminal defense attorney. The Tormey Law Firm is an Essex County criminal defense team that concentrates a large portion of its practice on drug cases. Our drug defense lawyers have more than a decade of experience handling these kinds of cases in courtrooms throughout Essex County, including South Orange, Belleville, Bloomfield, Montclair, Irvington, and Fairfield. We understand what it takes to beat your drug charges because we have won cases like yours, time and time again. View a few examples of our successes in court and call 201-654-3464 for a free consultation about your drug charges with one of our experienced attorneys. If you or a loved one has been arrested for a drug offense in Essex County or elsewhere in New Jersey, it is crucial that you immediately consult with a lawyer. Most importantly, do not make any admissions to the police. Always speak with a lawyer before speaking with the police about your drug charges. You can call the Tormey Law Firm anytime at 201-654-3464 to discuss your case, or you can email us to schedule a free consultation at our conveniently located Newark office.